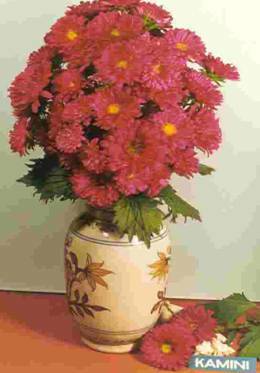 This variety produces deep pink colored flowers more attractive than the local pink variety. It takes 1.38 days to flower and grows to about 60 cm. It has a stalk length of 30 cm and a vase life of 8 days. Flowers are 6 cm in diameter and weight 2g each. Each plant produces about 50 flowers. (Rao, T.M., Negi, S.S., Janakiram, T and Raghava, S.P.S., 1997).